Need2LearnChinese - Your best online resources for Chinese learning books and materials, make your learning process as simple as possible. 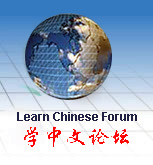 <a href="http://www.need2learnchinese.com/">Need2Learn Chinese </a> - Your best online resources for Chinese learning books and materials, make your learning process as simple as possible. Text: Your best online resources for Chinese learning books and materials, make your learning process as simple as possible. 1. In the email suject line: "Need2LearnChinese.com Link"
2. In the email itself: a link to the page with our link AND the HTML code you would like us to post. If you have a education site or book store we will post your link in our resource links directory. Links to pharmacy, gambling and age restricted sites will not be posted. If you have a related site and have advertising opportunities on your site, please let us know.